LONG BEACH, CA (Laserfiche)—January 11, 2010—Laserfiche today kicked off its “Empower 2010” Conference with a keynote address from company President and CEO Nien-Ling Wacker. 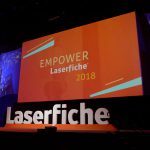 A record 1,200 attendees turned out for the event, reflecting the accelerating growth of the Laserfiche community even in the face of recession. Despite the economic downturn and heightened security for air travel, end user attendance at the Conference is up 54% over last year. A healthy number of industry analysts, consultants, partners, journalists and resellers are also in attendance. The Conference, held at the Hilton LAX in Los Angeles through January 13, features more than 150 sessions on everything from integrating Laserfiche with SharePoint to agile project management to implementing Laserfiche in a multinational environment. HP and Fujitsu are the Premier and Gold sponsors for the event; Infolinx is the nametag sponsor. Exhibitors include HP, Fujitsu, Infolinx, LincWare, FileTek, NovusAGENDA, Canon, Extract Systems, Cambridge Connections, Plustek, United Micro Data/Affinity, Peladon Software and GEI WideFormat. 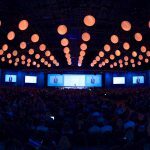 For video highlights from the Conference, visit https://www.laserfiche.com/2010.